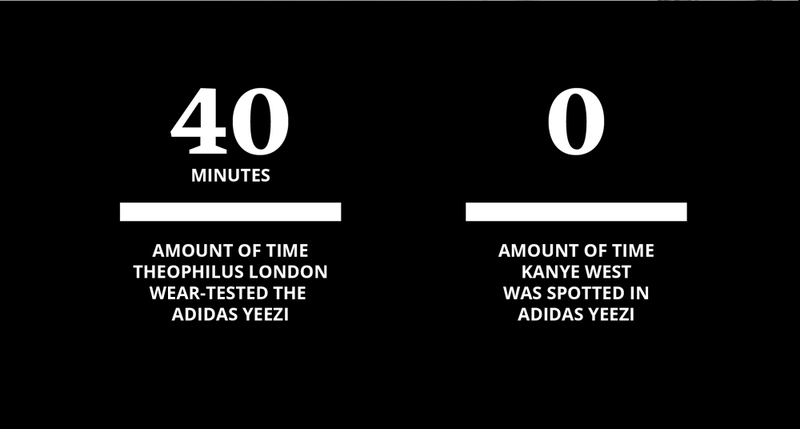 It's been one year since Kanye announced his signing with adidas - here's a by the numbers breakdown of what's happened since. 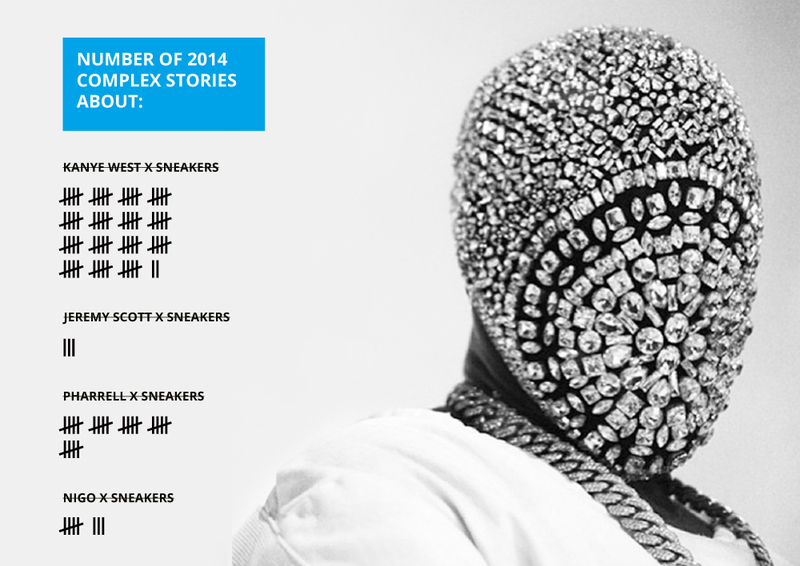 Today marks Kanye West's first year under adidas. It's been a long 365 days of waiting for products to appear while listening to Ye's on-stage proselytizing about his upcoming launch. 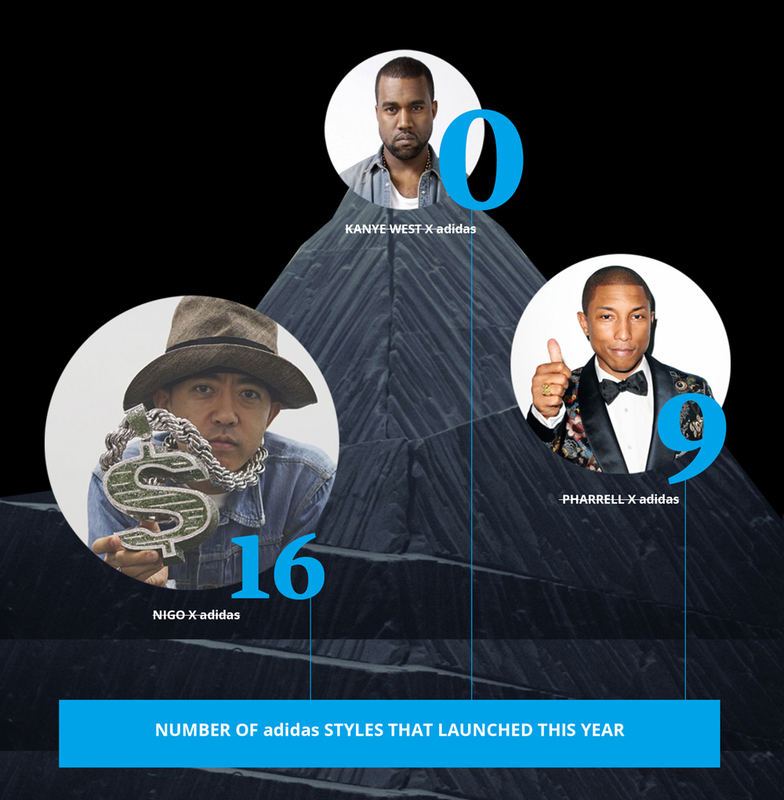 Here's a by-the-numbers breakdown of all the most important things that have transpired at the Three Stripes since he announced his partnership.